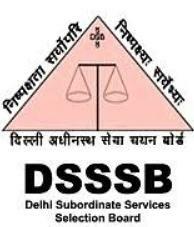 Delhi Subordinate Services Selection Board - DSSSB published an official notification for Recruitment of Asstt. Engineer & Jr. Engineer for 264 posts. Eligible candidates can apply for this recruitment. You can view more details about this recruitment including No. of posts, name of post, Educational qualification, Age limit, Selection process, How to apply etc... You can also view official notification and other important facts about this recruitment e.g. Important links and Important dates. Two years professional experience as Civil Engineer counted from the date of completion of the qualifying Diploma Examination. Two years professional experience as Electrical Engineer counted from the date of completion of the qualifying Diploma Examination. Three years Diploma in Civil Engineering from a recognized institute. The selection shall be made through One Tier and Two Tier examination scheme and Skill Test, wherever applicable.